Hi there! My name is Cici. 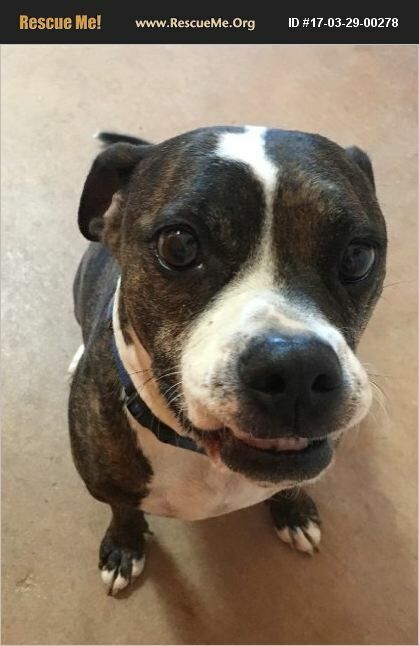 I am a 4 year old female boxer/pittie mix. I am a rich dark brown brindle with white markings. I weigh 50 pounds, but am compact and not a big dog. I am a great people dog and enjoy nothing better than to be by your side either walking or hiking or just being a couch potato. I have low to medium energy and would work well in a family who is not very experienced at dog owning. I don't currently live with kids but have done well with them in the past. I will do best as a solo dog in a home with no cats. I used to break out of a crate if left alone, but no more! My adoption donation is $300 but that includes my personal $400 Empire Pro indestructible crate. It is handsome and spacious and I love it! I am spayed, micro chipped and have all of my shots. I know my basic commands and will do just about anything for a treat! I also know how to trot next to you while you ride a bike and I am good at riding in a car. Please come and meet me! You won't be sorry! Call or text Diane at 925-209-6480 to see more photos of me or email Diane@TArescue.com.